Today we have one last thing to share with you from our DIY BBQ Engagement Party. Petal Pixie is back to show us how she made those adorable mason jar filled pies. 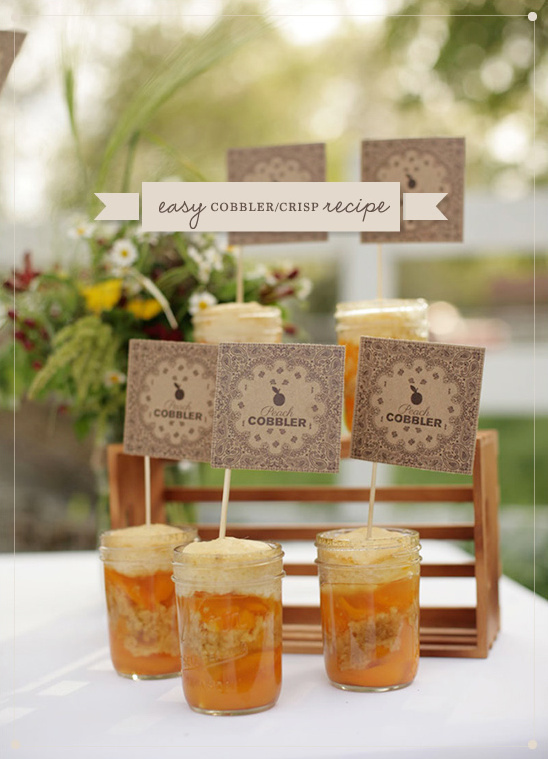 Easy, cute and they are sure to be a hit at any celebration. 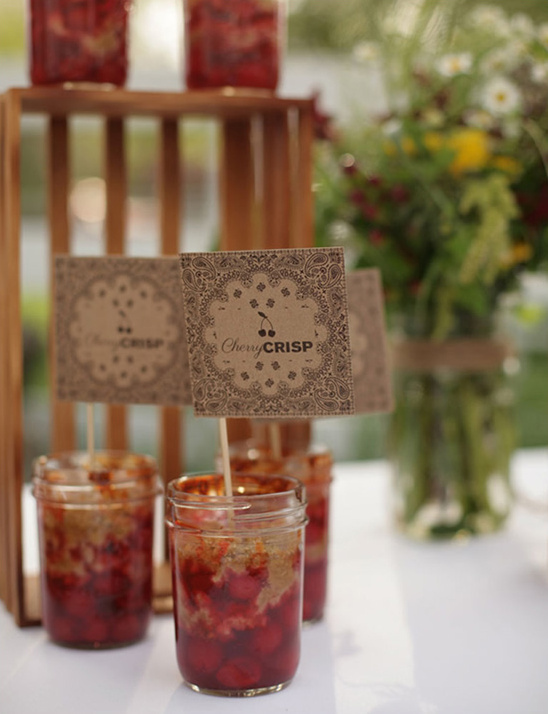 Besides these tasty treats, we also have the adorable labels that went with the tasty treats from Alexis June Creative. Of course they coordinate perfectly with our DIY No Sew Bandana Runner. So much fun! 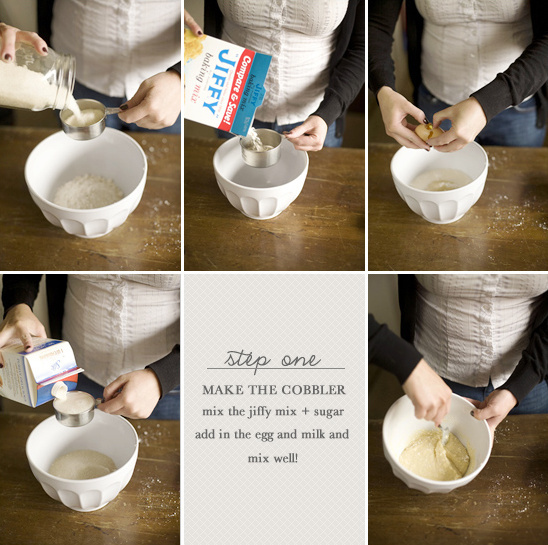 Mix the jiffy mix and sugar together. Add in the egg and milk. Mix well. 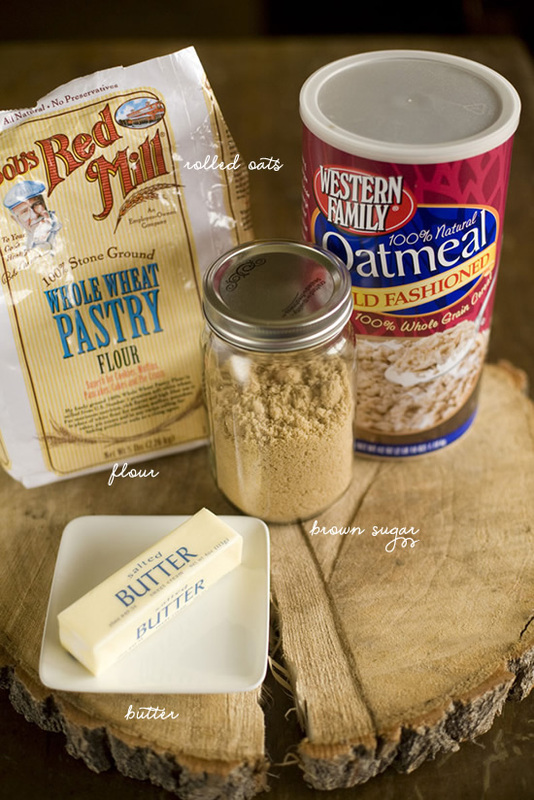 ½ cup rolled oats Melt ½ stick of butter in small bowl. In separate bowl mix the brown sugar, flour, and rolled oats. Add the melted butter to the dry ingredients, mix well. 2 small cans of any flavor pie filling. 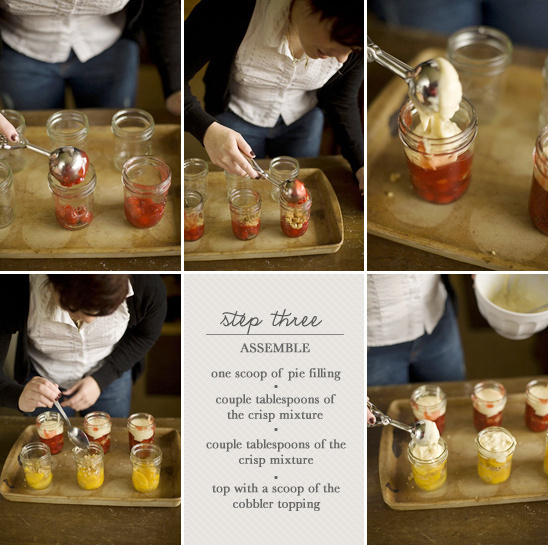 I used eight, ½ pint mason jars and set them on a cookie sheet to catch any spillage when baking. You can even cover the cookie sheet with tin foil for easy clean up. I used ice cream scoops for both the pie filling and the cobbler topping. Doing this just helps make sure the amount used is consistent. 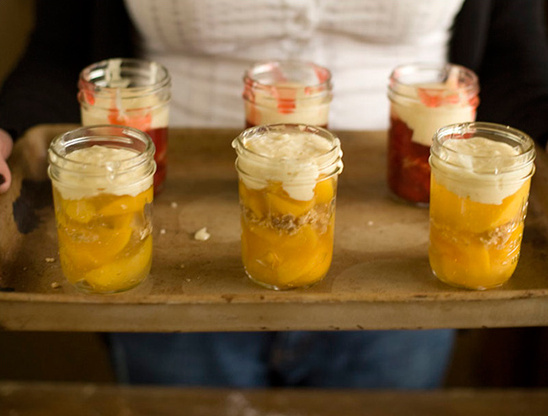 Put one scoop of pie filling inside the mason jar. 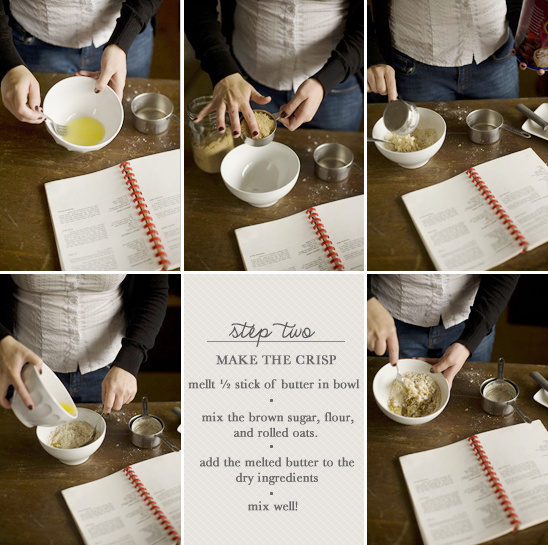 Then add a couple tablespoons of the crisp mixture. Add a second layer of pie filling. Then top with a scoop of the cobbler topping. Preheat the oven to 400 degrees and bake for 10 min. Turn down the oven to 350 and bake an additional 15 min. Last but not least, we have the free printables from Alexis June Creative. You simply need to print out the template, cut it out, tape to a stick and place in your cobbler. Alexis made one for a peach cobbler, apple crisp and strawberry rhubarb pie. Print out the template by clicking here.